The OG JuiceRX location is in Old Town, but lucky for me, they’ve opened up a small shop on Damen Avenue. As you could guess by its name, JuiceRX is known for its juices; however, it’s their acai bowls that I’m after. With just three bowls, they keep it simple, but these bowls are anything but basic. Not only are their ingredients fresh and tasty, but their bowls also look like miniature works of art. 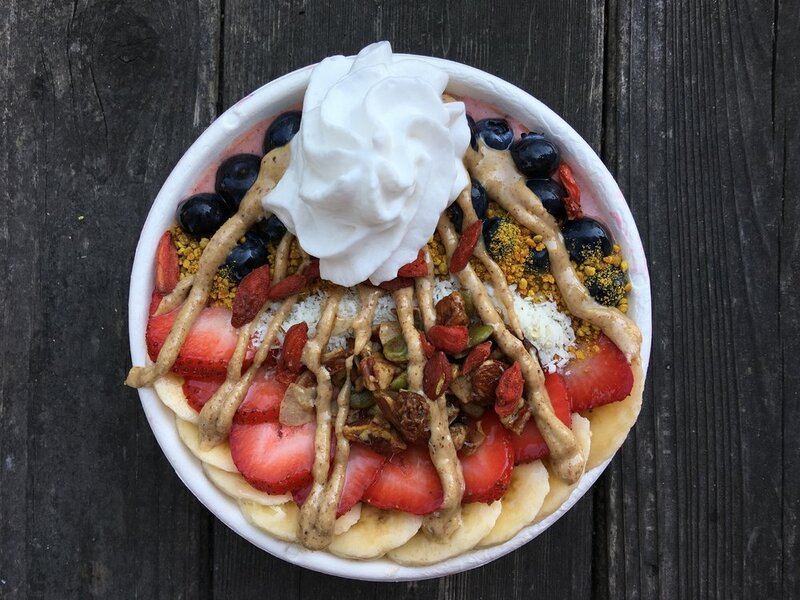 Plus, JuiceRX is adding on some innovative toppings, like whipped coconut cream, and they add extra ingredients into their acai base other than your standard berries. 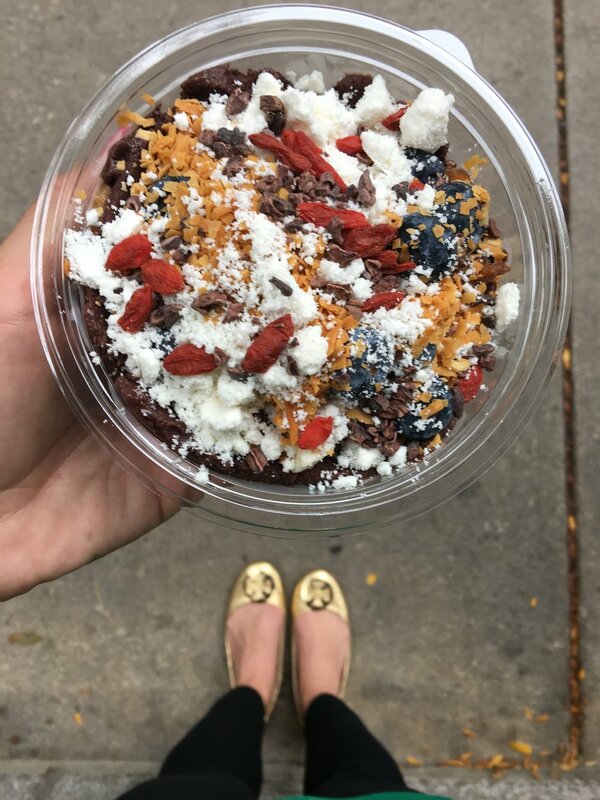 Known for its super foods, 24Karrots describes itself as a juice bar that provides “golden nutrition.” While I’m not totally sure what golden nutrition is, one thing I am sure of is how tasty their acai bowls are. With just three bowls to choose from, each is made with an almond milk acai base and is topped with pumpkin flax granola and fresh fruit. The best bowl? The CB acai. “CB” standing for cashew butter, which is generously portioned throughout the bowl. The nut butter isn’t the only thing that’s generous, though; the bowls from 24Karrots are by far larger than most acai bowls in town. Graze keeps it pretty standard when it comes to their acai bowls – berries, banana, granola, coconut – you know the drill. But they do color outside of the lines with their pitaya bowl. What really sets Graze apart, though, is the tastiness of their acai. Not only does it look more vibrant, but also it tastes fresher and more flavorful than most. While these bowls are probably some of the smallest in the city, they’re certainly not lacking in flavor. With the tagline “#DamnGood,” you know you’re in for a treat. Hailing from the guys who brought you Aloha Poke, Aviato is no different when it comes to super fresh, super delicious ingredients. Tucked away in the French Market, Aviato is the perfect spot for a quick lunch or even an afternoon pick-me-up. With three varieties available – acai, matcha or Brazilian – you can choose a base and build from there, or you can opt for one of Aviato’s signature bowls. The best part? The nut butter. I don’t know where it comes from, but it’s the tastiest nut butter I’ve ever had. Bonus: You can scoop all of the deliciousness into your mouth with one of their color-changing spoons.